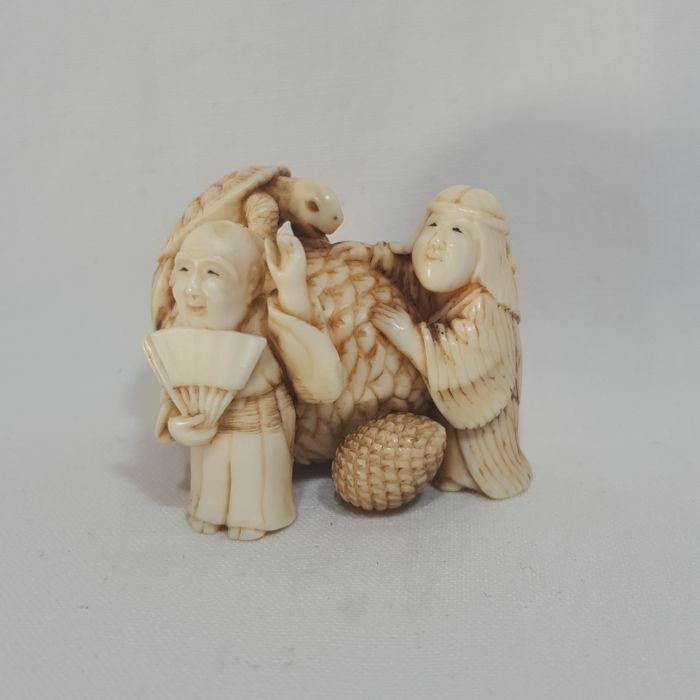 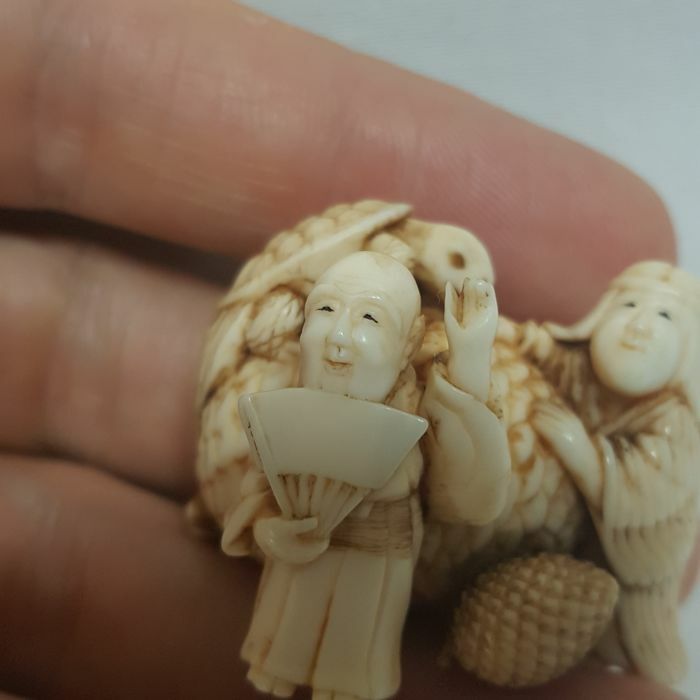 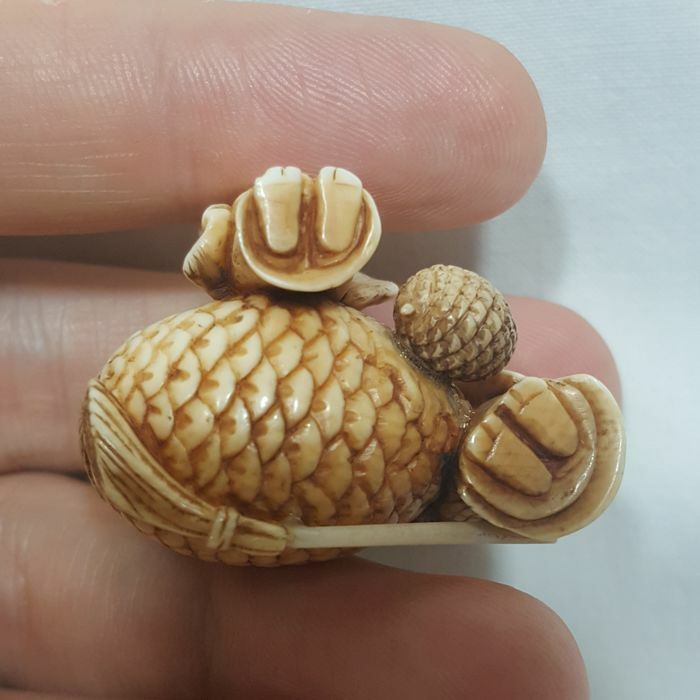 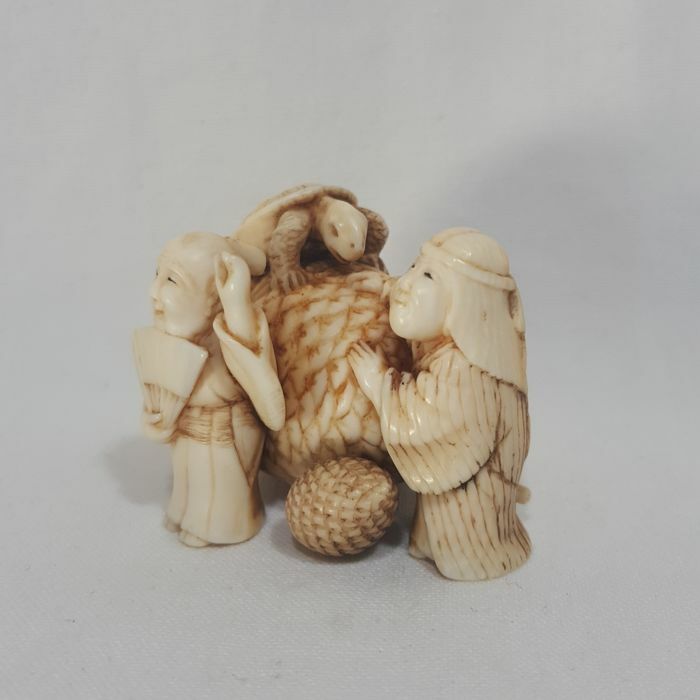 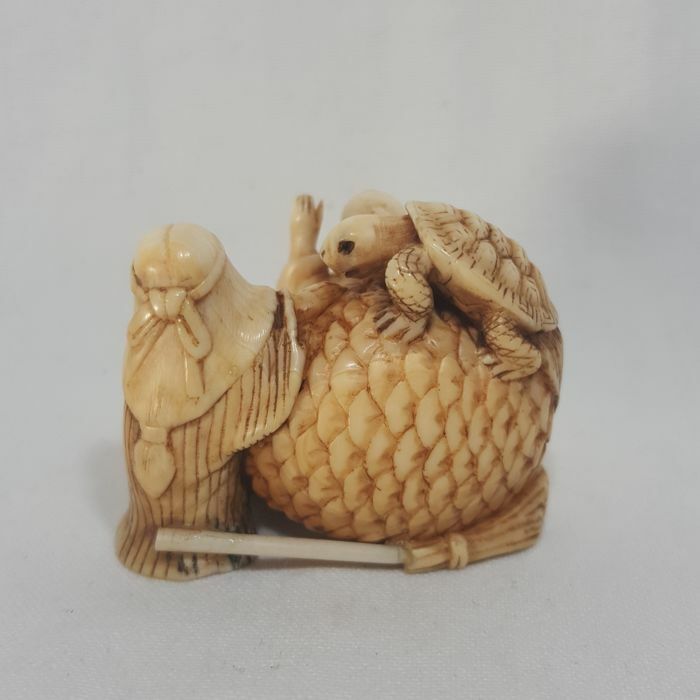 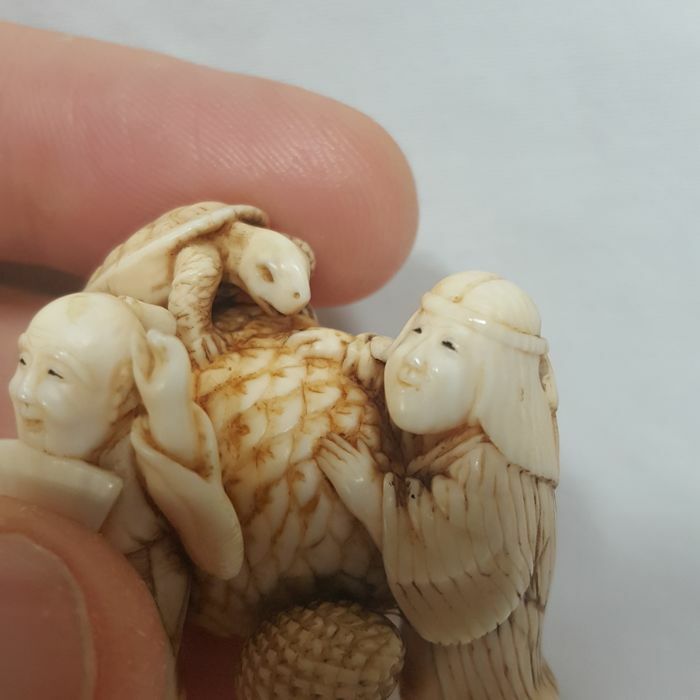 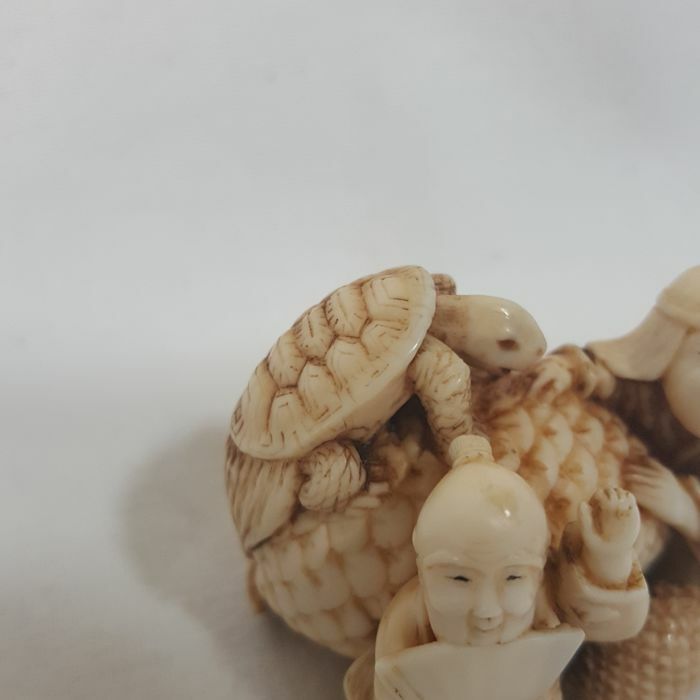 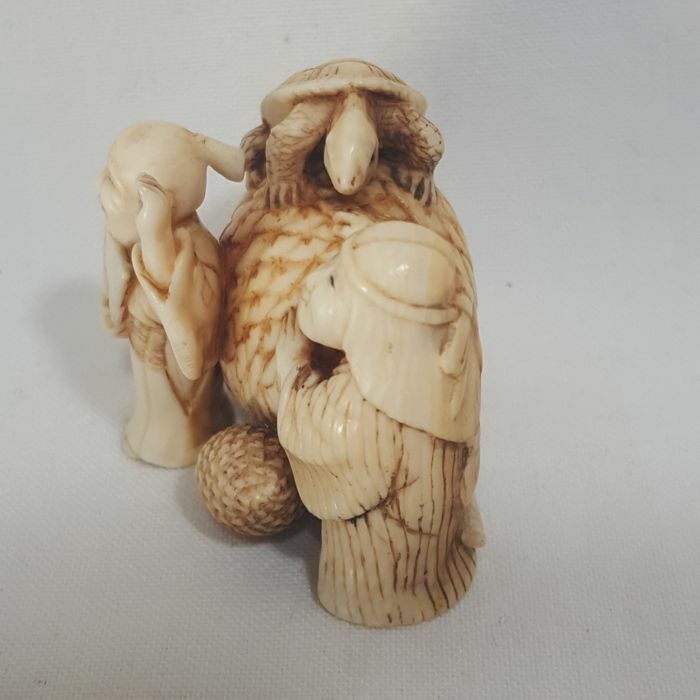 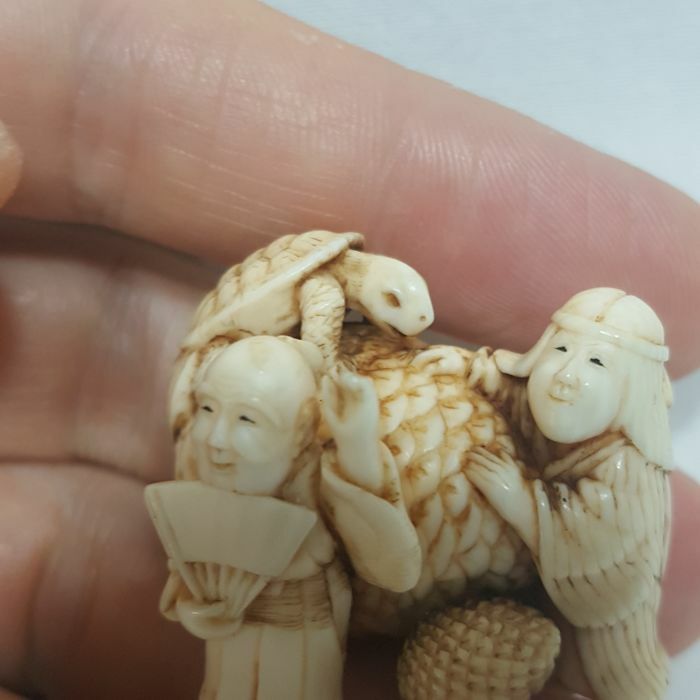 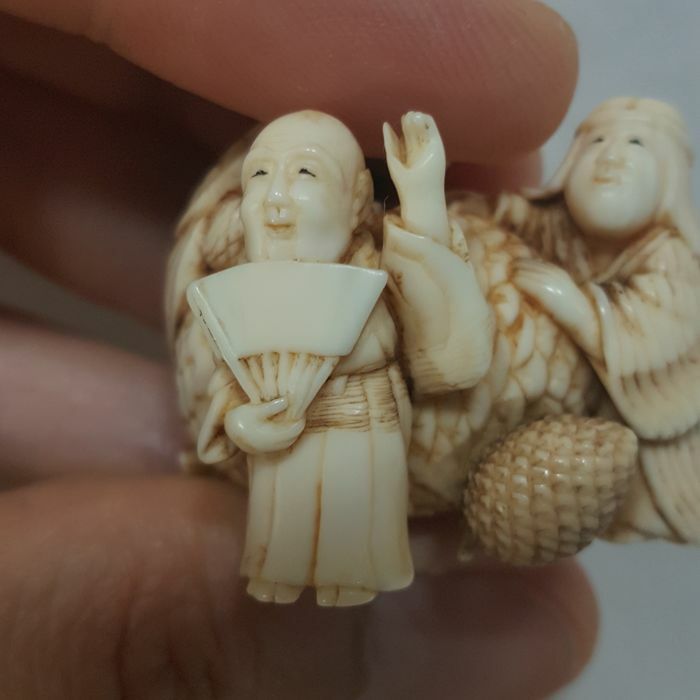 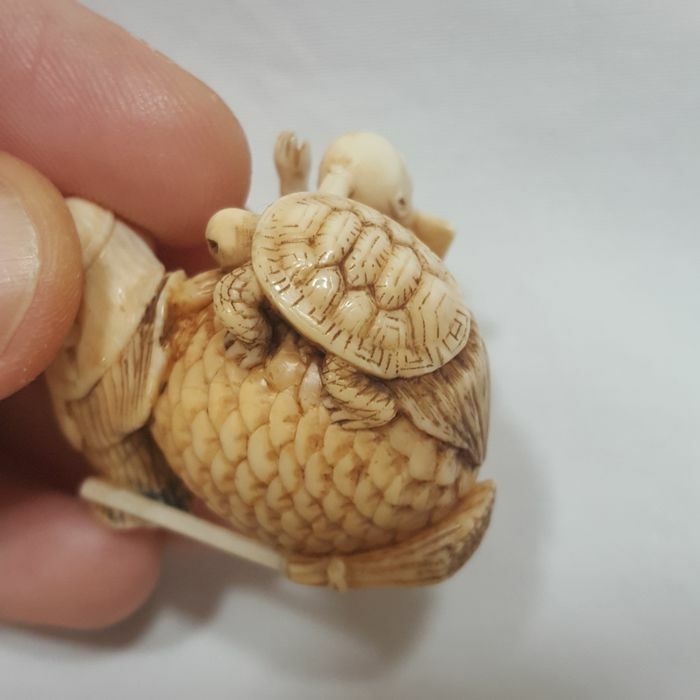 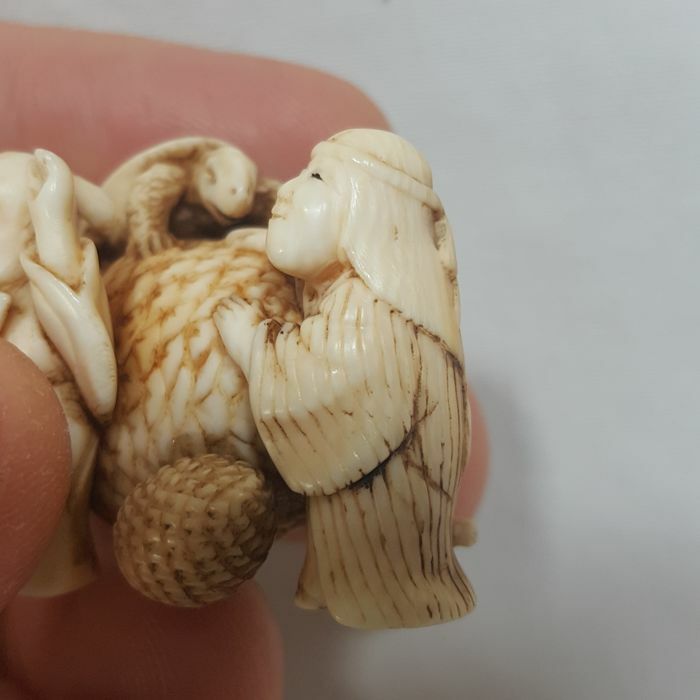 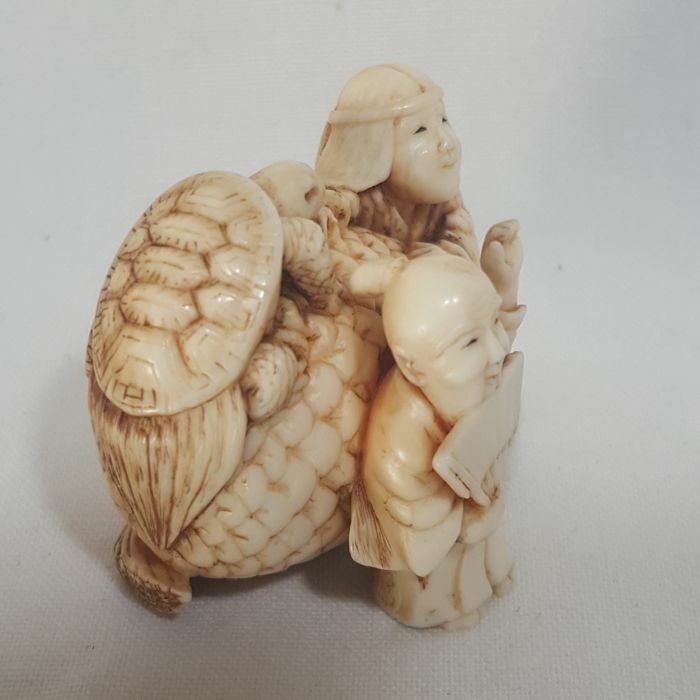 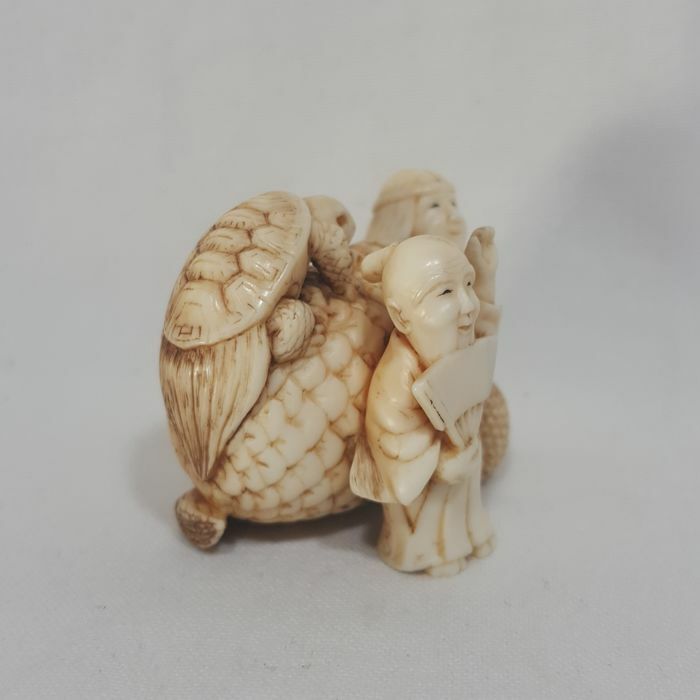 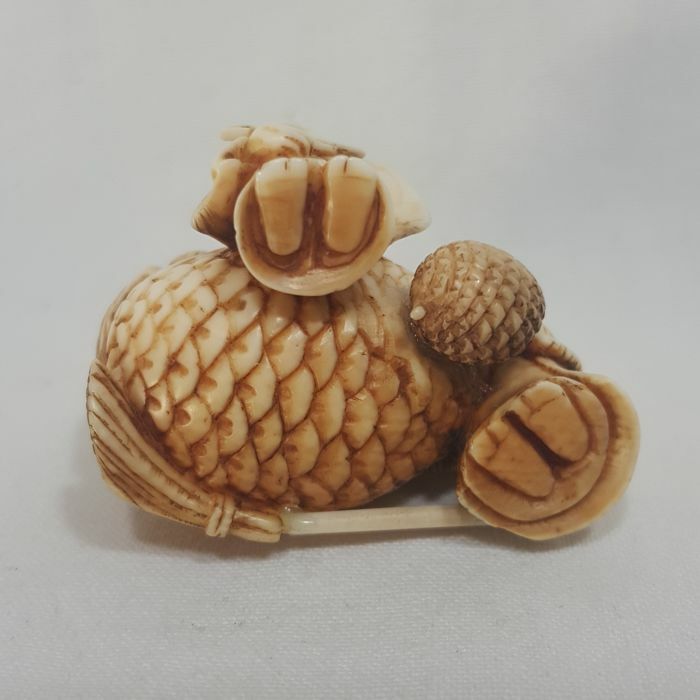 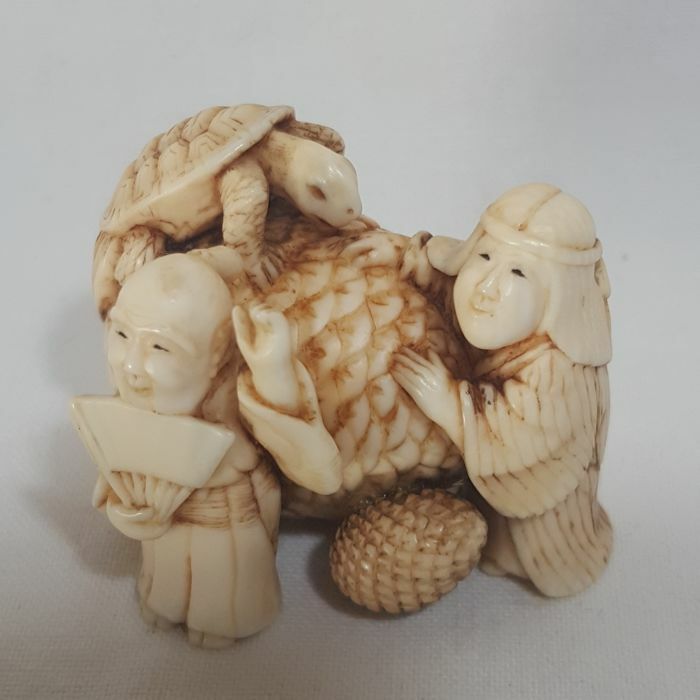 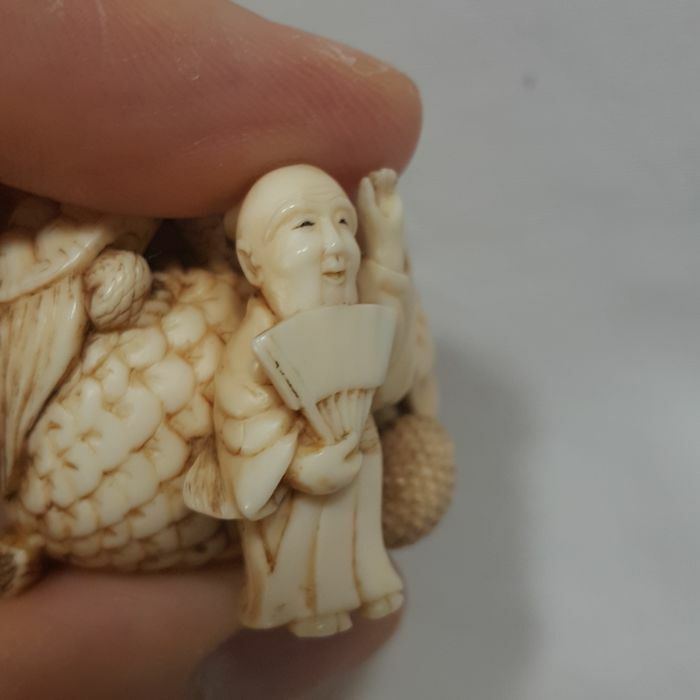 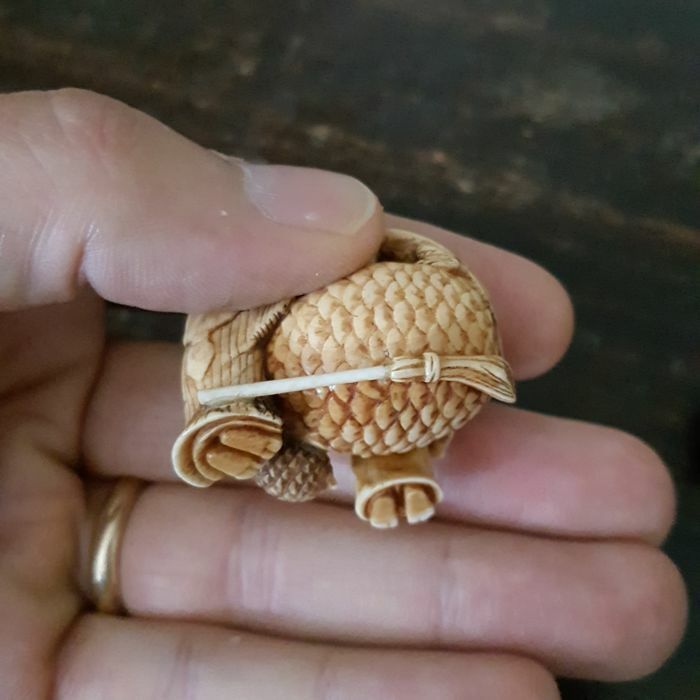 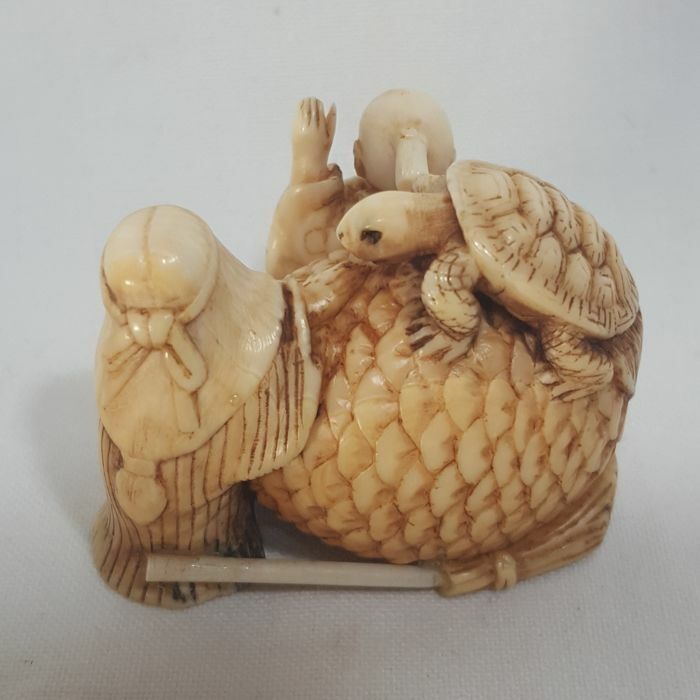 Ivory netsuke depicting two sennins leaning against a large pine cone with legendary tortoise on top. 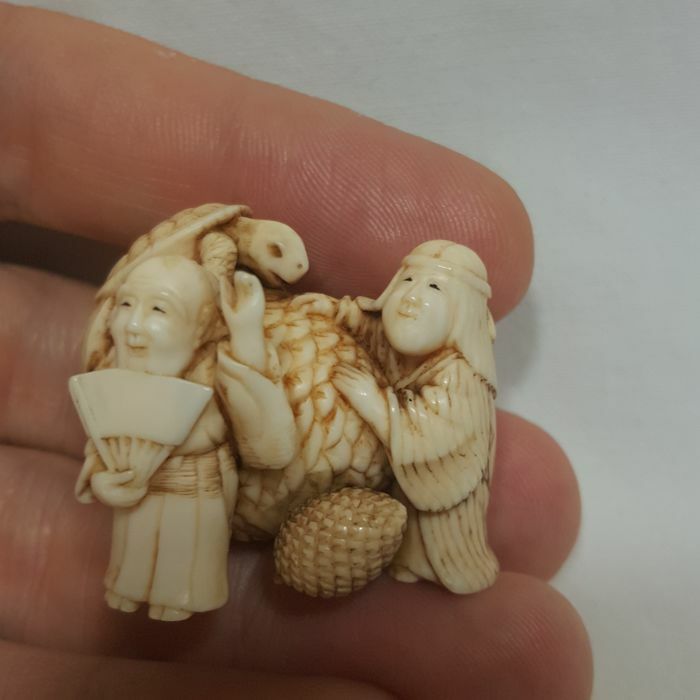 The back part of the broom handle has been restored. 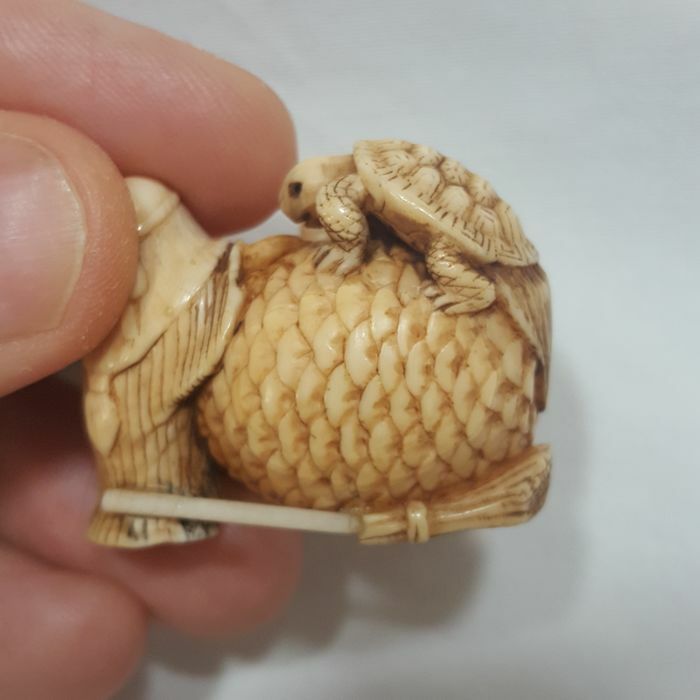 Japanese item from the Meiji period. 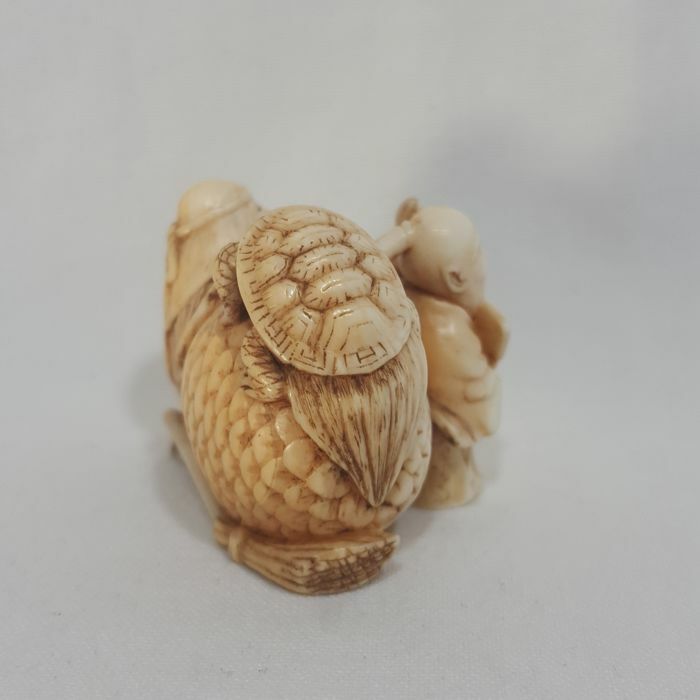 The Item was produced prior to 1947, and is therefore in compliance with the European Union regulations on ivory trade. 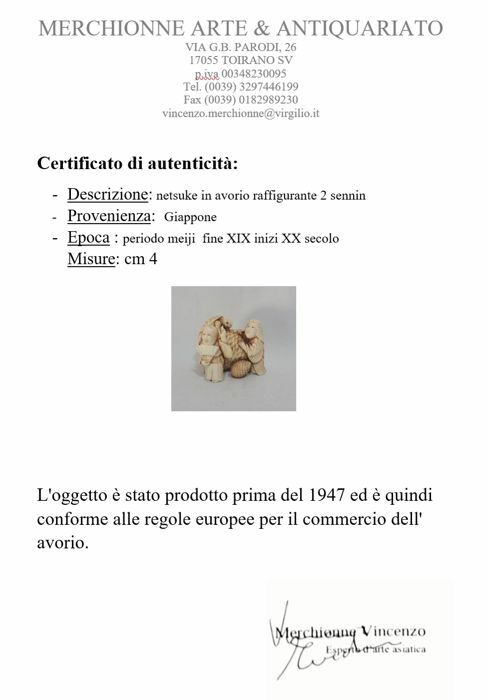 The item comes with a certificate of authenticity which will be sent to the buyer. 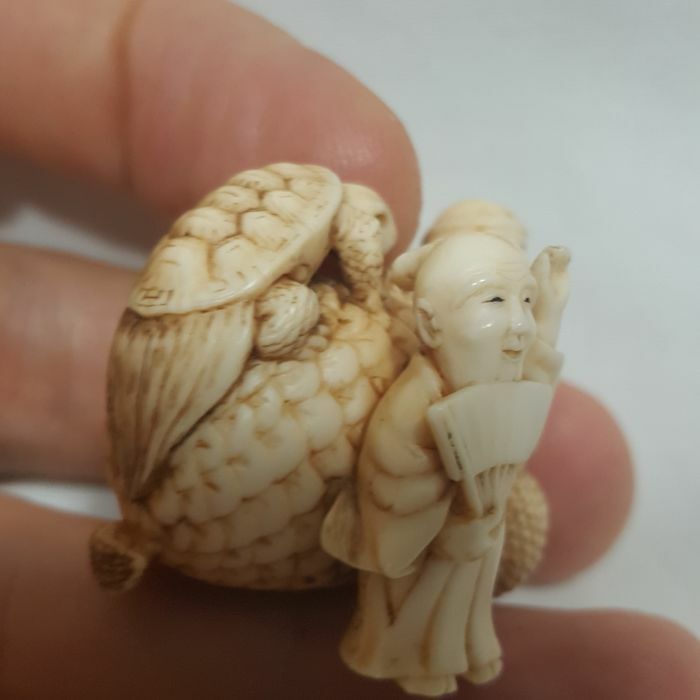 Los dos netsukes recibidos responden exactamente a lo ofertado, son muy bellos y han llegado muy rápidamente. 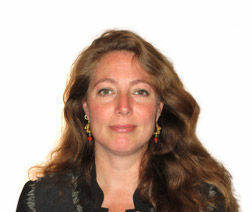 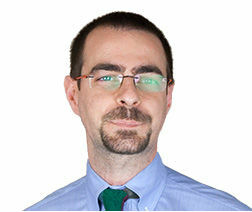 Puedes recoger este lote en persona: Niella tanaro (italia), Italia.